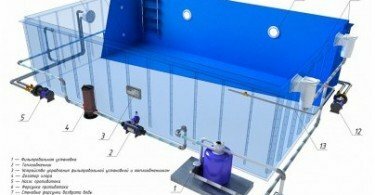 About how to heat the water in the pool is necessarythink at the stage of its design, because all the technological elements of the system are interconnected. 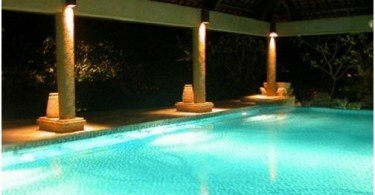 Experts recommend installing heaters in combination with other equipment for swimming poolsBut even if such operation has not been performed, the heating system can incorporate and later. It is worth noting that the water temperature in the pools for adults should not be lower than 24-26 degrees, and for the children of this parameter is even higher - more than 30 degrees. 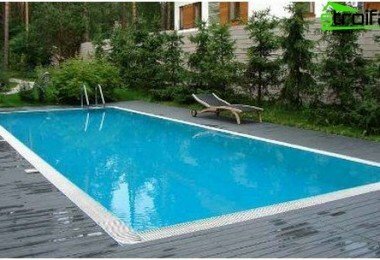 So, to find out what is the best type of heating equipment will fit harmoniously in your pool, analyze each "to pieces." Flow heaters - the easiest andrelatively inexpensive way to heat the water in the pool. They are intended for heating a continuous stream of fluid with the minimum pressure drop. This type of heating equipment is compact, so do not need a large technical room to install it. A small covered booth will be just right. The housing of electric heaters made from high-quality plastic, titanium or stainless steel, and the heating elements themselves - out of stainless steel alloy that can withstand relatively high temperatures. 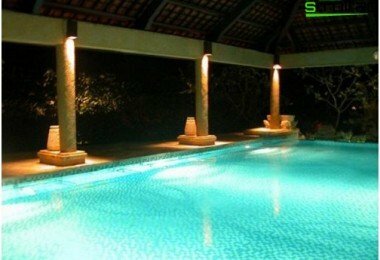 Choosing a flow heater, keep in mind that itpower should correspond to the volume of water in the pool is small and shallow pool, which is in a heated room, it does not require the purchase of a large and powerful machine, for it will be enough and 3 kW. Although when it comes to power, the flowelectric heaters can not boast of this parameter - the maximum that they are able to squeeze out of himself - it is 18 kW, which is clearly not enough for a large pool of street. 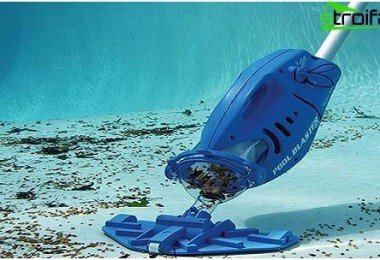 So, if your pool has a volume of more than 36 cubic meters. meters and it is located in the street, the purchase of such equipment would be an unjustified waste of money, because even the most powerful of the range of electric heaters can not cope with its task. In addition, the house can be a limitation on the power or wiring does not meet all the requirements, then install similar unit also does not make sense. Heat exchanger (in principle, it can be seen from theirname), unlike electric heaters do not consume electricity. Their work - heating the water in the pool by connecting to a common home heating system. This machine is a flasklocated inside the coil, which moves on the hot water. 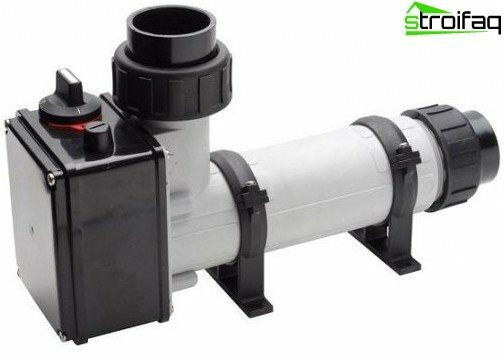 This water is supplied to the heater of the heating system with the circulation pump, the operation of which is governed by the special valve. In turn, the valve is controlled by a thermostat. The very same coil is washed with cold water from the basin. In principle, everything is very simple and clear. The owner of all this equipment is only set on the thermostat the desired temperature to him, all the rest of it will make automatic. Power coils can range from 13200 kW, which is considerably greater than the electric heaters. The choice of power in this case depends on the amount of water in the pool, because the longer it is, the longer the heater should work. The first water heating using heat exchangerIt lasts for about 28 hours at the maximum possible power to it. This is in order to avoid collapse of the instrument (structural changes in the heater housing and its internal components) which may occur due to too fast heating up water. After the first run the unit will only maintain the required temperature, it saves money. 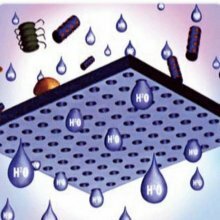 Typically, the heat exchanger is disposed between thepumping stations and disinfection system, in order to avoid damage due to the presence of chlorine in the water. If the water is too chlorinated, it is recommended to install the titanium heat exchangers. The sun - an inexhaustible source of energy, that's just tamed him recently and immediately found application - began to heat homes, apartments, warehouses, and finally got to the pools. Of course, the water in the pool is very warm and in the rays of the scorching sun, but what if your pool is under a canopy or in a room? Then the sun comes to you! Solar energy or solar collectorsThey represent modules of cones, tubes or screens that accept the beams. Each module is individually able to heat up to 30 cubic meters. 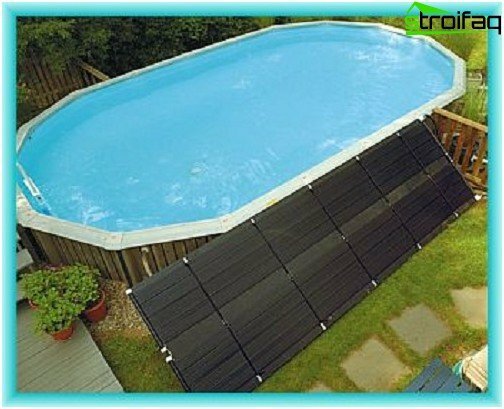 meters of water, so the larger the volume of your pool, the more you need the modules. The principle of the collector: the sun's rays falling on the collector, which is usually black, it is completely absorbed. Coolant, inside the reservoir, heated to 140 degrees, and then starts the circulation pump, which is located in the storage tank. Naturally the water is almost instantly becomes hot and can be used for swimming pools, as well as for heating and hot water at home. Any such reservoir model, in which are embeddedSensors and automatic three-way valve, through which water is automatically sent to the heat exchanger. 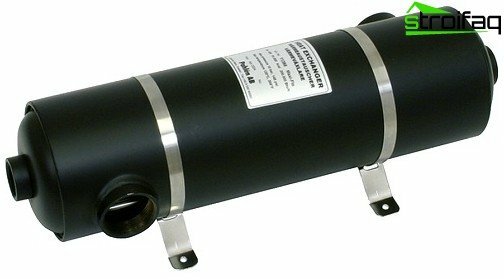 Upon reaching the desired temperature of the water will pass heat exchanger, gradually cooling down. And having reached the minimum value (which is set by the owner of the pool), water will once again flow into the heat exchanger and the system will start anew. Heat pumps - a new and rather unpopular(Yet) for Russia a way to heat the water in the pool. The lack of interest from buyers is easily explained - the high price of this type of heater. 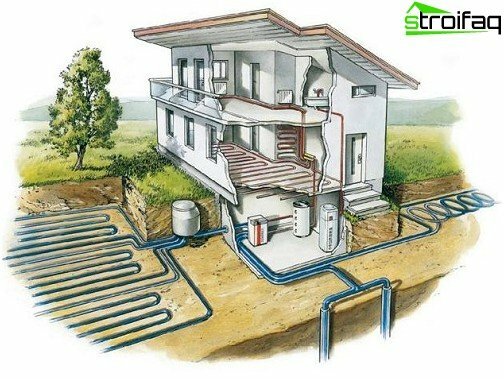 Heat pumps work on the principle of a multi-stage heat transfer from the different heat transfer via condensation, compression of different gases, etc. As an initial heat source canused household and industrial waste water after treatment, warm thermal water and groundwater, the water of lakes, rivers, the heat that is released during the cleaning of flue gases, and in general, any heat source temperature is at least one or two degrees higher than the water in the pool. 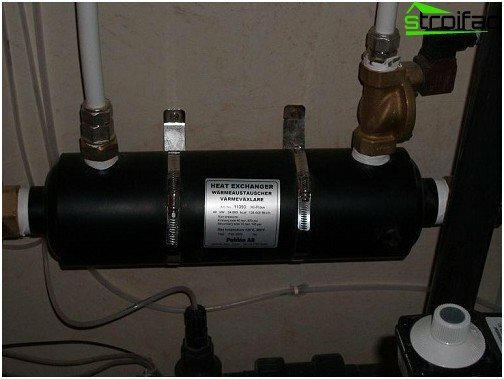 Principle of operation: on the outer pipe located under the ground, using the circulating pump hydraulic fluid is pumped, for example, a mixture of water and antifreeze. At the exit of the tube the liquid through the soil temperature becomes a few degrees warmer. Thereafter, the mixture is sent to a heat exchanger (evaporator), where it gives up its heat to the refrigerant, which immediately begins to boil (it is enough to barely lukewarm water) and turns into steam. This vapor enters the compressor, which compresses it to 20-25 atmospheres. During this process, there is a sharp increase in temperature to 55 degrees. It is this energy and sent to the future for heating homes or heating the water in the pool. This system works in a vicious circle: when hydraulic fluid and coolant To fulfill its mission, they passed through a cooling stage, meet again to start the cycle over again. Thus, it turns out that most of the energy is spent on the work of the compressor. 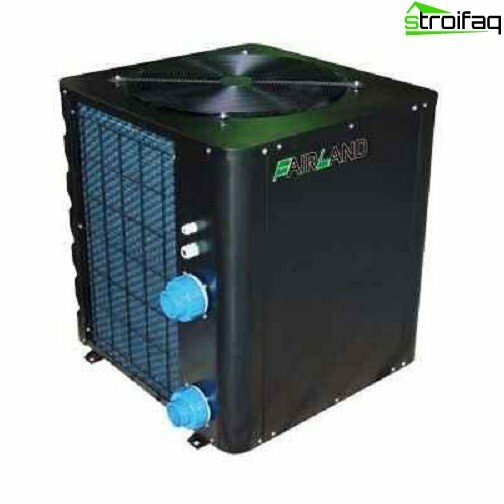 Power heat pump can not only heat the pools, but also provide a warm holiday huge area of ​​300 square meters. meters. Well, how to heat a swimming pool and with the help of what you can do, now you know. It remains only to weigh the "pros" and "cons", and make the right choice. Good luck in the construction and repair!